Hell hath no furry like an Apple employee scorned. That is, if a oddly compelling rumor from a highly questionable source is to be believed. Yes, boys and girls, Apple’s iOS 8 will deliver all sorts of health-flavor functionality and the data feed could be a next generation pair of EarPod headphones. Still betting the iWatch will be Apple’s revolutionary wearable computing device? Perhaps not. Yes, iOS 8 + Healthbook pretty much covers the software side. However, what shape Apple’s wearable tech takes is an open question. According to a jilted Apple employee, who was “sent home for good last week,” newly redesigned EarPods will not only function as headphones and media remote control, but also heart rate and blood pressure monitoring sensor. 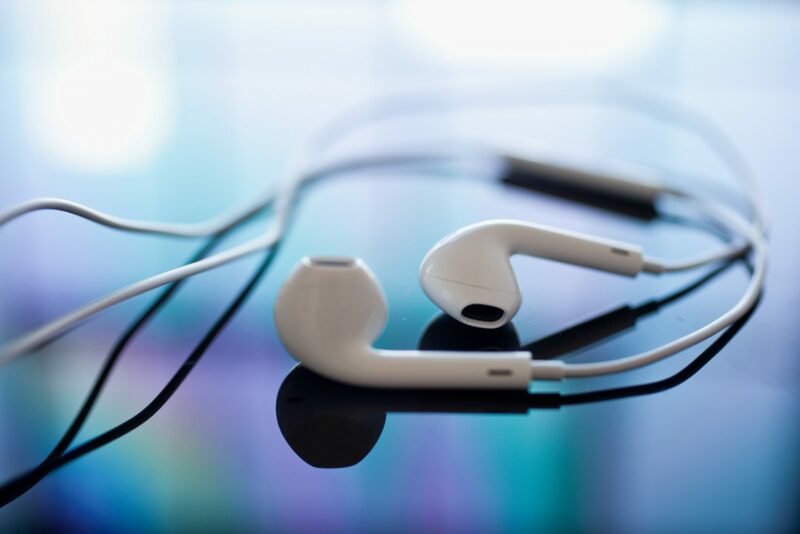 Apple’s new EarPods will have sensors in them, for heart rate & blood pressure. Also, iBeacons so they don’t get lost. They will require the lightning port, it’s why the audio jack was moved to the bottom —via Secret. Can I get a bulls**t from chorus? Hell yeah, brothers and sisters! While it seems too good, or creepy, to be true, Tim Cook’s Cupertino legal crew already has it covered. According to our reliable friends at MacRumors, Apple actually patented the necessary technology way, way back in 2007. The present invention can include systems and methods for integrating sensors for tracking a user’s performance metrics into electronic devices and accessories therefor. In one embodiment of the present invention, the electronic devices can include portable media devices similar to iPods sold by Apple Inc. of Cupertino, Calif. or cellular telephones similar to iPhones designed by Apple Inc. Pretty darned cool. However, you might want to curb your enthusiasm. Mark Gurman, rumorologist and all-around Apple bête noir, claims that the coolest Health-related features in iOS 8 might be delayed until iOS 8.1 Update arrives — if past is prologue, that could mean February-March 2015!